Reading this as a service user, almost five years on, I sit with a furrowed brow. What does all of that mean to me and my family? It feels like a lot of long, complicated words and phrases which immediately exclude many of us from even understanding what social work is. Language matters. So, what does social work mean to someone like me; a care leaver with extensive experience of the child protection system as a birth mum? Like the official definition, I can’t answer that in a few words. But, unlike the definition, my feelings around what social work means are not static. They’ve changed significantly over the years, partially because of the interventions I have experienced, both wanted and very much unwanted. But mainly because it’s been somewhat dependent on the relationship with whatever social worker I’ve been allocated. And therein lies the rub. What is social work to me? It’s a relationship. At some points of my life, it’s been a helpful and healthy relationship. My social worker has made me feel empowered to leave abusive relationships and capable of raising my children alone. My social worker felt like my bedrock, enabling me to make the changes I needed to keep my children safe and myself well, and there to catch me if and when I fell. It was a partnership. There was trust, there was reliability and there was not fear. I knew if I had a problem I couldn’t work out or if I was worried about one of my children, I could go to my social worker. She was kind. There was empathy and understanding and they would put things in place to help and to make our lives easier. Sometimes that was practical support; nursery spaces, help with budgeting, access to services or courses that would be useful or helpful. Sometimes it was emotional support; a voice at the end of the phone who cared. When you’re a care leaver without any family, you need that. I didn’t feel as alone in the world. I’d been turfed out of care at 16, pregnant with my eldest son. My corporate parent didn’t take care of me as they should have then, and in my twenties and early thirties, that neglect was mended by the social worker I had. Kindness matters. I didn’t make changes quickly enough and I emotionally damaged my children. I made bad choices and my mental health was poor and declining. I recognised their concerns and tried extremely hard to make and sustain changes. But by then, new social workers had become involved, and the dynamic had changed. They weren’t there to help me anymore. They were there to remove my children, including my new-born baby, removed on a future risk of emotional harm at six days old. The social worker left a breast pump on the edge of my hospital bed, gave a friend the Crisis Team’s telephone number and then abandoned me for the weekend. What did social work mean to me then? Powerlessness. Helplessness. Hopelessness. Fear. Vulnerability. Shame. Condemnation. Even retribution. Gone was the support. Gone was the understanding. Gone was the empathy. Gone was the humanity. If you’d read me that first quote back then, I’d have laughed in your face. My life has now changed. My baby, now almost six, has been back in my care for five years. Social work didn’t believe in me back then, but the Children’s Guardian and the Judge did. I’ve made and sustained changes and have my ten-year-old in my care too. I have a son, formerly in the care system, now at University who comes home when he needs washing doing. I have two children still in the care system, of their own volition. Other than theirs, we haven’t had a social worker now for over four years. My eldest son lived with me from the day of his 16th birthday until the day he took his own life in May 2017. My view on social work has also changed. I no longer feel powerless, helpless, hopeless, shamed or condemned. I did the best I could as a mum with the tools I had. I know I came up wanting, and I take full responsibility for the hurt and harm I caused my children. I spent a long time hating social workers. I spent a lot of emotional energy extremely angry. I don’t feel that way now. Now, I can see things more objectively. Action needed to be taken to protect my children. Could it have been done differently, with more humanity, empathy, understanding and care? Of course. But I can see why it wasn’t. And that’s the point. What does social work mean to me? It’s a relationship. I don’t believe many, if any, social workers come into this profession with anything other than noble, true and honest intentions. I believe, almost wholeheartedly, that social workers want, more than anything, to empower people, to help facilitate change, health, happiness and hope in the lives of the vulnerable, those in poverty, and minority groups. I sincerely feel that human rights, social justice and respect for diversity are primarily and profoundly etched into every social worker. Social work is a vocation, a way of life; not just a job. I say all of this having been at the sharpest end of the most serious statutory intervention into my family life. Because what I have learned in over four years of being “Annie – Surviving Safeguarding” is that you are not always able to do the job you set out to do, and you are not always able to practice in the way that stays true to the core values of social work. Cuts to services and resources mean that everyone is scrabbling around for the smallest pots of funding to help their service users. Recent changes to the law mean that social work has come under enormous time-pressures and everyone is breaking their backs to try to hit impossible deadlines. Sensationalist media reports, which horrify the public, mean that management is incredibly risk averse with more and more children being placed in care and more and more referrals from frightened staff who don’t want to see another “Baby P”. Political moves have left everyone uncertain, putting more pressure on the most vulnerable and leaving more of us than ever before in poverty. You do what I did, and what I still do. You do the best you can with the tools you have. 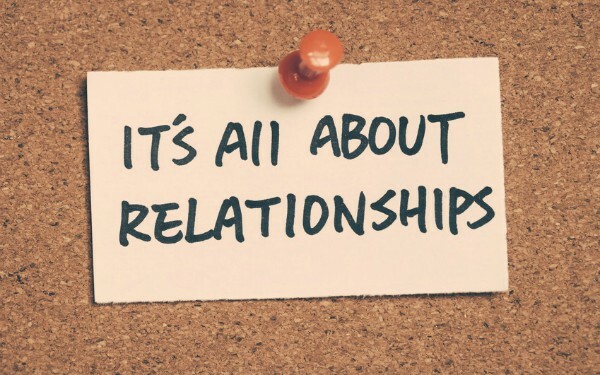 You place relationships at the heart of everything you do. You choose to stay empathetic, and understanding and caring and kind. You remember that you hold people’s lives in your hands and that we trust you when we are on our backsides. You remember why you went into the job. You didn’t go into social work to tick boxes and fill forms in. That’s just part of what you have to do. You went into social work because you wanted to make a difference. And you can, and you will, and you do. So, keep doing it. Because we need you to, because you are valued and because you matter to us. Annie, the Parent and Relative Representative for the Family Justice Council, writes Surviving Safeguarding, undertakes social work training and consultancy and is one half of the Project Coordination team for The Transparency Project, a legal education charity. She tweets @survivecourt. Clare, fabulous recognition – Well done! Annie, good for you for changing your mindset and in turn the outcomes for you and yours. What a refreshing write-up! Really speaks from the heart thank you. Me and my colleagues were looking at the social work England consultation and saying that there is no real ‘celebration’ of social work codes – all what we will do etc… this article has made me feel motivated to keep going.